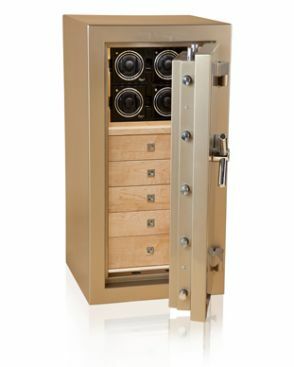 Our Luxury Safes are specifically designed for wealthy individuals who want to secure their valuables inside something beautiful and practical. Customise the outside and inside of your safe, so that you have a unique piece of furniture in which to securely house your precious items. We are main agents for Doetling and Stockinger, as well as manufacturing our own luxury safe range in Yorkshire, UK. Please visit www.luxurysafe.co.uk for more details.